Interaction Between Fated Retribution and Biorhythm? What do I need to say verbally to make a copy of a creature using Kiki-Jiki Mirror Breaker at End of Turn but have the copy live until next turn? Arcades can benefit a lot from creatures who have defender who can make ramp. These help to make mana to be able to play Arcades faster which helps your overall deck because you want Arcades on the battlefield before you can really get going in the game. If you draw them when you don't need ramp then that's fine because they still draw you a card because they have defender. Sunscape Familiar : has defender, "walls can't attack" was printed on older cards before it was officially called defender. Battlement and Guardian can make a lot of ramp because they both care about how many creatures with defender you control. As you play more defender creatures the better their ramp becomes. Either one can for instance trigger a lot of activations for Assault Formation . Wall of Blossoms is good, it's a green Wall of Omens . Wall of Denial and Geist of the Archives are three drop flying defender creatures and Denial is among the best Walls in Commander. Jeskai Barricade has flash and it can bounce another creature with defender back to your hand so you can play it again and draw again with Arcades. Reveillark is good reanimation with Walls since they have 0 power. Lark also combos with Barricade for lots of reanimation since Lark triggers when it leaves the battlefield this includes bouncing it with Barricade. Arcades cares about when a defender creature ETB (enters the battlefield) therefore if you reanimate defender creatures you get to draw for each one that enters. Brave the Sands is good with Walls, vigilance with Arcades lets Walls attack and also defend. But good point on the goblin subtheme! 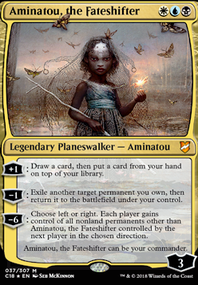 I did start off with Goblin Matron for tutoring Zada, then cut since Feather is also quite potent. I may do these swaps though: -Card draw 2 drops ( Wall of Omens , Abbot of Keral Keep ). +token/mana goblins ( Mogg War Marshal , Wily Goblin ). Another theme that hasn't quite gotten there is Sunforger & 3-4 mana instants. Right now most of my instants cost 1-2 & draw a card, which is not really what you want Sunforger to be tutoring for. Right now Eerie Interlude is the best target. 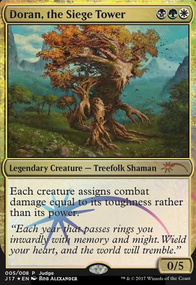 DerektheRed My main concern with getting rid of Wood Elves or Wall of Omens is I'm worried my early stage ramp is a little weak so I'm loathed to get rid of my 2 and 3 cost draw and Mana fixing options. Do you have an opinion on a more expensive card to ditch? Tho if I ditch another higher cost card Reclamation Sage might be a good idea. 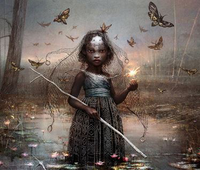 And if I get rid of any more enchantments for sorceries Mesa Enchantress could probably go. this deck looks like a lot of fun! I think someone already mentioned, but my suggestion is to cut some creatures and play more removal. You've only got 1 instant-speed removal, no wraths, and no artifact/enchantment removal (something g&w excel at). You could lose Wall of Omens and Wood Elves no problem. I'd also lean harder into card draw, since you're digging for specific cards (Odric or Epic Struggle) and only have one tutor. Guardian Project or Elemental Bond or similar. Like the Wall of Omens . Gives you a card and a nice defender to set up. Personally I don't think Wall of Omens is good enough without some way to recur it. 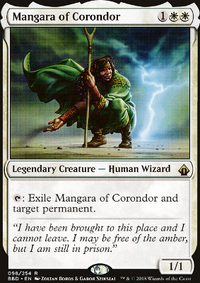 Walls don't do a whole lot of good in commander without a lot of specialized support; they are easy to play around, don't do much in the late game, and can't be converted into attackers. There's a lot of alternatives - Elvish Visionary , Masked Admirers , Shaman of Spring , or Soul of the Harvest come to mind. Hey mate, I think this deck would struggle against many of the other competitive control decks out there because there isn't enough early tempo. I don't want to take away the control aspect of your deck, because obviously you're not trying to do the traditional boros burn. The issue is, is that you would have a very hard time dealing with things like planeswalkers that are quite relevant in today's meta, Karn Liberated , Jace, the Mind Sculptor , etc. For this reason I'd definitely recommend Lightning Bolt over Flame Slash as it's versatile in that it can finish off a planeswalker, a player, and most creatures in the modern format. 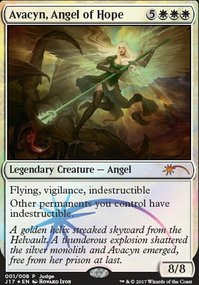 You could also potentially use Lightning Helix if you value the life gain. Definitely a sideboard card if not main. On top of that, I think currently it's definitely a little slow which isn't an issue for something such as blue white control, because it has the ability to keep drawing/cycling its hand meaning it will get the response cards it needs in the right turns. Statistically speaking you're unlikely to achieve the proper mana you need at all turns to keep up your curve. I'd probably stick with lower-cost threats, and less mana-ramp as that is too slow for modern. 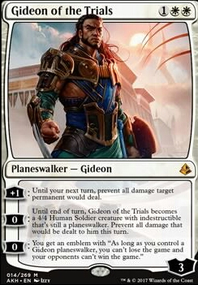 I'd say to revamp a few things such as dealing with maybe the Restoration Angel game plan, with maybe Gideon, Ally of Zendikar or Gideon of the Trials although I'm not 100% sure their costs right now. A few other things I'll just kinda' list off in case you're interested, but I do think you'll have to tone down your curve for this to become more competitive. Wall of Omens , Magus of the Moon , Blood Moon , Pia and Kiran Nalaar , Blade Splicer , Flickerwisp , etc. You can definitely look into a hatebear deck, or R/W hatebear at that. It's an aggro-ish control-ish type of deck. Anyway, good luck, and I hope some of my suggestions might either be useful or interesting at the least! Just to note - all colors have access to a card replacing itself - Wall of Omens can be also black, red or blue or green. Delirium - If you have 4 or more card types in your graveyard, other Hags you control get hexproof and +1/+1 for each card type in your opponents graveyards. Use a mechanic from older set in order to make a tribal lord (see above example).